A seemingly innocent remark over an innocuous cup of tea. 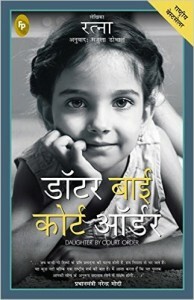 Aranya discovers that her family has been fighting a decade-long legal battle over her grandfather’s expansive estate, all the while not only keeping her in the dark, but also keeping her very existence out of the court’s knowledge! A cesspool of emotions, half-truths, betrayals, and the unspooling of long buried dirty family secrets threaten to overpower Aranya and disrupt what modicum of peace and balance she has in her life as a single mother of two children. At the centre of this storm is the one woman who, ever since the day Aranya was born, has had nothing but curses and abuses for her; who has deliberately kept her name out of the court; who has wished her dead for every day of her life; who refuses to now remember her birth. The woman who is her mother. Her own mother. 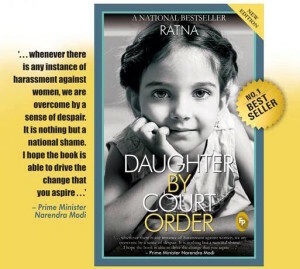 This is the story of a woman fighting against power, money, deceit, and treachery for her right to be recognised as a daughter. A daughter by court order . . .